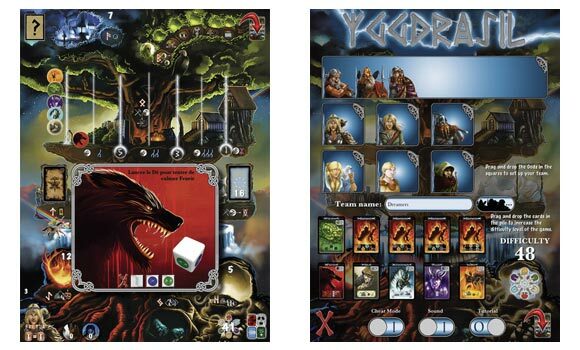 Yggdrasil is a co-operative game in which you play the role of a Norse god. 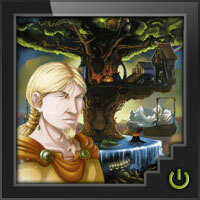 The gods must join forces and co-ordinate their efforts to repel the invasion of their enemies in Asgard. If Evil is defeated, the players win all together. If not, the defeat is collective and it heralds the end of mythical time. The application will offer you to choose the difficulty level of your game. According to your progress, you will unblock 3 new gods (Frigg, Vidar and Balder) and new special cards. Will you be able to prevent the destruction of the worlds from happening? Every game is new and challenging! Add a Review for "Yggdrasil"